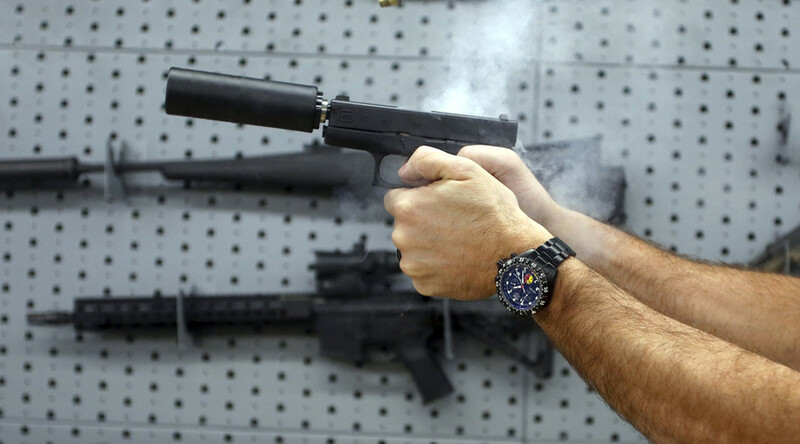 Gun lobbyists are backing new legislation to make silencers easier to buy. Contrary to expectations the bill, which has the backing of Donald Trump, Jr, wouldn’t be fought as a Second Amendment issue but one of public safety. The bill, Hearing Protection Act, HR 367 argues that silencers safeguard the eardrums of the nation’s 55 million gun owners. It would remove restrictions on the purchase of silencers for firearms under the National Firearms Act, and eliminate a $200 tax, lengthy paperwork and a nine-month approval process. The bill was reintroduced in the House by Representative Jeff Duncan (R, South Carolina) and Representative John Carter (R, Texas). Silencers lower but do not silence the sound of a gunshot and are now being presented as safety devices in the new bill. Gun rights groups cite studies that show the silencers reduce the decibel level of a gunshot from a dangerous 165 to about 135, the sound of a jackhammer, and they are rarely used in crimes. The bill would make it easier for gun owners and sportsmen to purchase suppressors in the 42 states where they are currently legal. Purchases would have to pass a background check to buy them, and prohibited people would be denied. Violence prevention advocates are furious about presenting silences as a public health concern and argue the legislation would make it easier for criminals and potential mass shooters to obtain devices to conceal attacks. Gun lobbyists supported a previous version of the bill but it stalled in Congress last year. It did generate tremendous interest, becoming the third-most viewed piece of legislation on the Congress’ website last year, according to the Library of Congress. With a Republican president, a strong advocate in Donald Trump, Jr, and Republicans in charge of the House and the Senate, the prospect of its passing are stronger. The bill is currently waiting to be assigned to a committee.